Awarding surgeons a flip room, in which they have two rooms allocated to them at the same time, is a common and entrenched practice. But a flip room consumes twice the resources (space, OR time, staff, etc.) as a regular block, and therefore is rightly subjected to high levels of scrutiny. 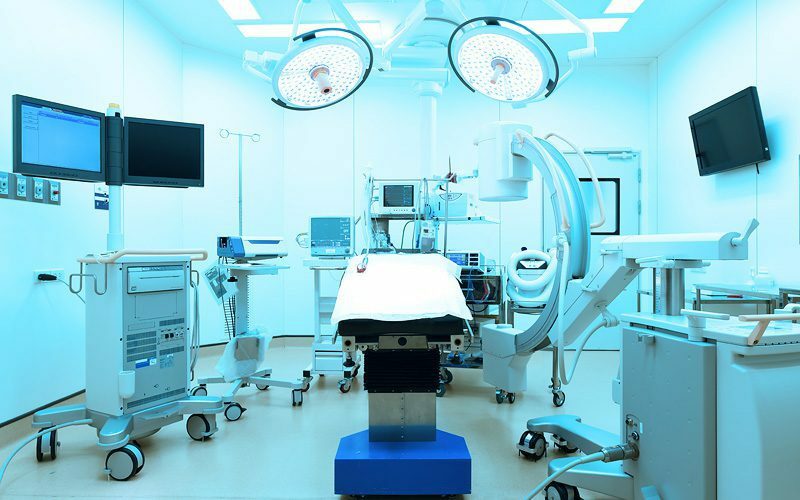 From a surgeon’s perspective, flip rooms greatly improve their efficiency, but from the hospital’s perspective, they generally lower overall utilization. So the question becomes: Is it better for one surgeon to do eight cases using a flip room, or for two surgeons to do five in each room? To answer this question, it is essential to leverage your data to evaluate the impact flip rooms are having on your organization as a whole, and not just on individual physicians. Short case lengths: This will minimize the idle time between when the room is set-up and when the next patient is wheeled in. A more advanced way of thinking about this is as a ratio of set-up time to case length; the higher (or closer to 1) this is, the better. For example, if you have a case that takes 60 minutes to perform and 15 minutes to set-up, the ratio would be 0.25, but if it took 30 minutes to set up a case of the same length, the ratio would be 0.5, and the surgeon who does the latter case is a better candidate for flip rooms. Low variability in case length: If duration of the cases are more consistent and predictable, then it is easier to optimize the schedule. Ability to run concurrently: Having a physician assistant (PA) who can close while the surgeon starts the next case improves efficiency, if the practice is permitted at your facility. Another popular criterion is requiring flip rooms to be used for “like-cases.” For example, all cases in the rooms must be total hip replacements. However, while this may have some operational, staffing, and safety benefits, like-cases is typically not a huge driver of overall OR efficiency. Understand the benchmark. Take your benchmark for standard block utilization — for the purposes of this example, let’s say 80%, and assume the first room meets this mark. Understand the worst case. Now suppose the second/flip room is never used — we’ll call this the worst-case scenario. Then average utilization of both rooms would be 40%. Define the ideal target. The goal would be for the flip room to create at least a 50% improvement to the “worst-case scenario” so the combined goal would be 60% utilization. Anything below this mark is closer to the second room never being used at all. It is important to note that nothing differs between how flip room utilization is calculated from stand-alone rooms, rather the goals are merely adjusted. We do not add in a “correction factor” to flip room utilization — we report it as it happened. Furthermore, because the overall goals for flip rooms are adjusted, the expectation is the surgeon will be scrupulous about releasing time — either both rooms in the event of a conference/vacation, or one of their two rooms because of lower than expected volume. Using an operations management platform like Hospital IQ can inform decisions like this, with minimal additional effort. Taking the time to examine the data and understand how flip rooms are truly impacting your organization is the best way to ensure efficiency across the board. Have questions on flip rooms or want to hear more? We will be touching on this topic in our upcoming webinar “The Pressure is On: Use Data-Driven Tools to Increase Capacity in Your OR“ on November 1st. Register here.